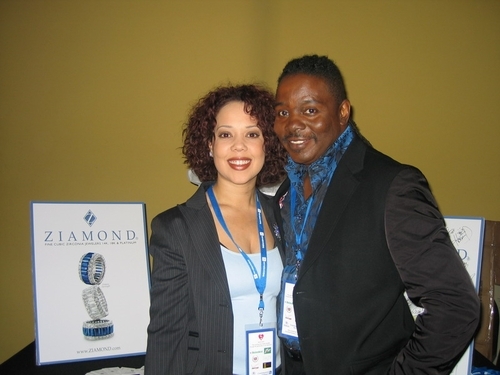 Phillip Bailey of Earth Wind & Fire visited with Ziamond Cubic Zirconia CZ Jewelers and the collection of Cubic Zirconia CZ Jewelry set in 14k, 18k or platinum. Ziamond cubic zirconia stones display and exhibit qualities of fine diamonds in color, cut and clarity, unrivaled by any other cubic zirconia. Ziamond is so confident about our cubic zirconia cz and gems that they are covered by a Lifetime Guarantee to maintain the original brilliance and luster.